Following a decade of fast growth, the demand for Scotch whisky is levelling off. Whilst there is confidence in the long-term future of Scotch, with many projects for new distilleries underway and upward of £2bn of capital investment committed by producers, the sector is under pressure to reduce costs resulting in some new build projects being deferred and an increasing focus on cost control opportunities. Energy efficiency is now fully back in the spotlight, given energy costs are in the top three costs alongside wheat/malted barley and salary costs. Carbon emissions are becoming increasingly important. Under the stewardship of the Scotch Whisky Association (SWA), the sector has been progressive in regards to its environmental responsibilities with the majority of the industry signed up to a regularly reviewed Environmental Strategy which contains progress against a number of ambitious goals, e.g. the sector is on track to deliver a 20% reduction in carbon emissions by 2020. However, Scotch manufacturing is not a sector which innovates easily. The general approach used has not changed significantly across the decades, it is after all, a traditional industry. Whilst in the period 2008 to 2012 specific energy consumption decreased by 6%, carbon emissions decreased by 8% and non-fossil fuel use increased from 13% to 16%, (2013 SWA environmental report data for 2012), this has largely resulted from building and expanding new large scale capacity coupled with some heat recovery synergy and bioenergy innovation. The continued growth and well-being of the sector is important to the Scottish economy. Scotch is a much admired and loved product. However, with global population growth, projected to reach 9 billion by 2050, we will see the debate for land use of food versus fuel escalate. Where will alcohol sit within this? When comparing beer, spirit and wine, which alcohol has the lowest impact on land use, water use, carbon footprint, etc.? Whilst the distilling industry is to be commended for its progress to date, a radical rethink is required to meet the key aspirations that safeguard the sector’s future; specifically the 80% reduction in carbon footprint by 2050. This needs to go well beyond minor energy efficiency gains and swapping out fuel sources, to unpicking the fundamentals of energy use within the process. There is a significant opportunity for further innovative thermodynamic options to deliver energy reduction/emissions reductions driven by an ambitious future target for specific energy consumption. Typically the energy use within a malt distillery is split 80% fuel (heat) and 20% electricity, of which over 90% of the fuel energy is spent generating steam for use within the distillation process with a very uneven demand profile. This derives from a history of direct coal fired pot stills converted to internal steam coils/pan fired by oversized heavy fuel oil boilers. The scotch industry is delivering on reducing carbon emissions through swapping out fuel type, primarily through moving from heavy fuel oil (HFO) to natural gas where the gas pipe infrastructure allows, and also embracing bioenergy, albeit with mixed success. However, the industry needs a light bulb moment, literally! LEDs are now delivering an improved quality of light at less than 20% of the energy use when compared with traditional incandescent light bulbs. Can an equivalent breakthrough be achieved in delivering the same, if not improved, spirit flavour with significantly less energy? Understanding that the current pot distillation process produces over three times more distilled water than spirit and the latent heat associated with the then disposed of distilled water is key to unlocking an innovative solution. We don’t need to look far, as the technology required already exists. It’s about bringing a different perspective and having the courage to drive change whist being cognisant of spirit quality and tradition. In addition to the thermodynamic breakthrough, the industry needs further driven collaboration to ensure the wholesale adoption of known energy efficiency solutions across the estate, further innovation on primary energy supply, a different approach to thermal storage, integration of renewable energy, maximising value of waste/co-products and exploration of cross site boundary opportunities. To elaborate; vapour recompression on spirit condensers has delivered energy savings in the region of 30% for decades, but these have not been implemented across the industry. A significant number of distilleries have no form of heat recovery preheating wash or low wines. In a hectic manufacturing environment we may be too busy to look at small matters like efficient lighting, yet case studies for similar sites show that LEDs installed across a large distillers estate would deliver improved lighting, reduced maintenance costs and estimated energy savings of £300k per annum at a payback of less than two years. Sometimes it’s worth paying someone to facilitate the change for you. 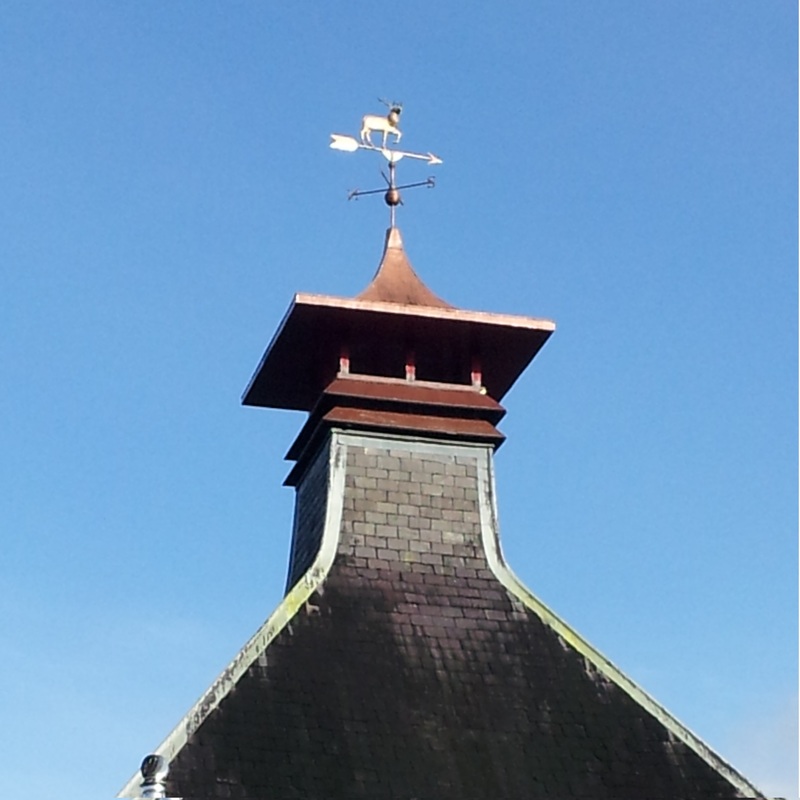 Diageo’s leading distillery at Roseisle has much to be commended for environmentally. In particular is the heat recovery synergy associated with not just its adjacent maltings but also a second maltings three miles away. What further potential exists for district heat solutions if a distiller were to collaborate beyond their site boundary? Could a single combined heat and power energy centre solution, coupled with heat recovery and thermal storage, deliver a district heat solution for the community and six large distilleries in the small village of Dufftown? The distilleries based on Scottish islands import HFO or kerosene to fire their boilers. The Scottish Government and many others are heavily investing in both onshore and marine renewable electricity in the same locations. The likes of Orkney are regularly having to reduce renewable electrical generation to avoid overstressing a constrained grid. Are large energy users such as distillers being actively engaged and encouraged to convert their heat demand from fuel to electricity? Different perspectives and great ideas need encouraging and nurturing. The sector has considerable opportunity to make investments in energy saving projects which will deliver commercial returns. Financial support is often available to support these energy projects. Getting started requires a combination of innovative thinking, deep sector understanding, wide awareness of energy options and understanding of finance options to be distilled, to develop and deliver the case for energy related project investments. This article was written by Tim Dumenil.